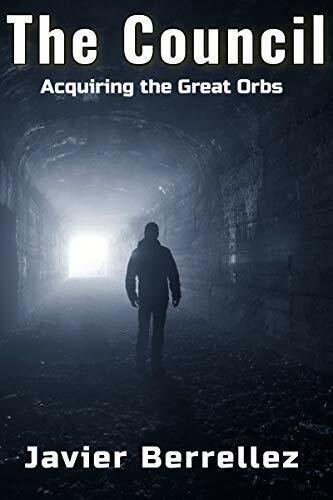 The Council: Acquiring the Great Orbs is fast-paced and intricately plotted science-fiction thriller. Government secrets, alien invasions, and military action combine to make The Council an edge-of-your-seat page-turner. Adam, a government agent for the naval reconnaissance office, or NRO, has been tasked with the menial job of driving a cargo van filled with four large containers – contents unknown – to a burn facility. He has done this every week for the past two years. The job is far below his pay grade as an agent and Adam has grown frustrated. He has also grown increasingly curious as the secrecy and security surrounding his cargo load seem out of proportion to the job. After a secretive satellite recovery mission supported by Adam’s team, he finds himself the victim of an unprovoked attack that lands him in the hospital and being questioned by the police. Before he knows it, something has gone awry with the government mission of which he is a part and Adam is forced to try to put together the pieces. As he slips deeper into the mystery surrounding the operation, Adam begins to realize that the contents of the containers in the cargo van hold great importance. Together with his colleagues and two elite military men they cross paths with, they’re forced to search for answers by crawling through military tunnels and dodging attacks. Intense, intricately plotted, and deeply engaging, The Council: Acquiring the Great Orbs draws readers into the dark and mysterious world of complex government conspiracies, covert military operations, and otherworldly combatants. As Adam races to find answers, readers will find themselves holding their breath, unable to put the book down.